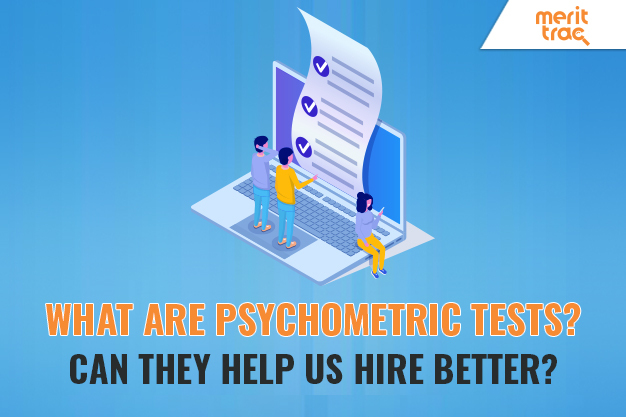 What Are Psychometric Tests and Can They Help Us Hire Better? As a CEO of a company, one often thinks what are the best hiring techniques to build a team with the right mix of talented, ambitious and dedicated professionals. The answer may not be that simple as the hiring trends keep changing to match the industry requirements. For instance, companies today, follow the mantra ‘Hire for talent and train for skills.’ A fast-growing technological landscape has reduced the value of skills that get redundant within 3 to 5 years. This has shifted the recruiters focus towards other parameters like personality, soft skills, adaptiveness and willingness to learn, etc. With employers valuing a new set of assessment parameters while screening candidates, it is important to employ multi-dimensional assessment techniques that are better suited for screening an applicant’s qualitative ability. Telephonic interviews and face to face interviews alone, are not adequate for screening a candidate on factors like cultural fitment, job-personality match and candidate’s overall personality. 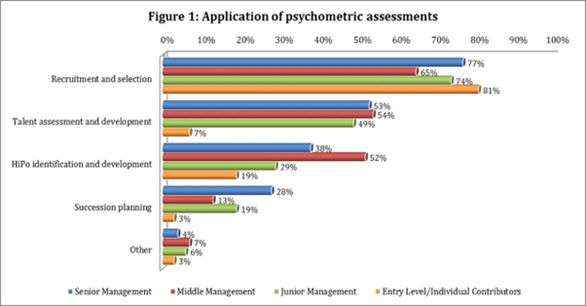 According to the study "The state of psychometric assessments in India" by Willis Towers Watson, 77 percent organizations in India use psychometrics for candidate assessment at the senior management level. The study shows a break-down of how Indian recruiters are adopting psychometric test at various stages of the talent cycle to enhance their recruiting process. "The state of psychometric assessments in India" study by Willis Towers Watson. Traditional assessment practices like face to face interview cannot quantify a candidate’s qualitative attributes. For example, how can you assess a candidate’s personality methodologically and compare it with other candidates? 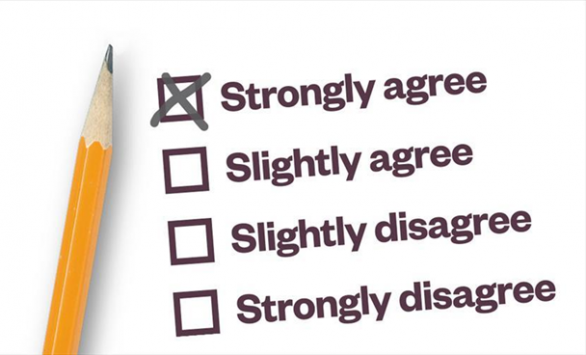 This is where behavioural assessments play a crucial role and can help organizations better understand the temperament of a candidate through a series of scientifically designed questions and scenarios. Psychometric tests use applied psychology and reliable psychometric frameworks such as Big Five Personality, Holland’s Career Interest, Blake Mouton’s Managerial Grid and Herzberg's Motivation Model. These can be employed as personality tests through a questionnaire allowing the recruiters screen a candidate for the required ‘mindset’. Different from skills, experience and expertise, the behavioural and personal traits of a candidate are crucial for determining a candidate’s suitability for a particular job role as well as his alignment with company’s culture and values. Psychometric test – a robust hiring tool for companies! Psychometric tests can not only aid in better recruitment decisions, they can substantially reduce the cost of attrition or wrong hire. The format and scientific outset of this test can also weed out fake and duped candidatures. MeritTrac’s suite of behavioural and personality assessments help organizations evaluate employees on various factors such as workplace thinking style, willingness to learn, leadership capabilities, generic personality, sales situational personality, and customer service orientation. The suite has delivered over 3 million assessments delivered to date to 400 clients across the world. Assessment platforms such as Pariksha and SmartTest are enabling companies to deploy assessments with high validity and reliability scores to identify the right-fit candidates. MeritTrac empowers companies to create the right hiring strategy to transform their workforce with its assessment products and solutions.